Está claro que con esto de la proliferación de bandas y de artistas que se sirven de internet y de plataformas como Bandcamp, hay que estar muy atento para que no nos den gato por liebre, y escuchar atentamente todo lo que nos llega para poder discernir con alguna certeza cuál es un buen producto de cuál es simplemente un entretenimiento para los amigos. 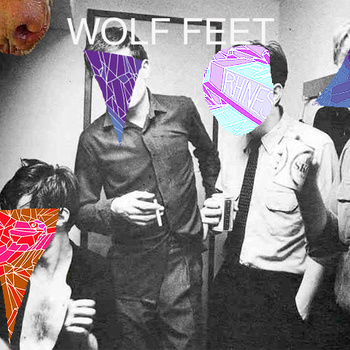 Con Wolf Feet nos encontramos con ambos sentimientos mezclados. ¿Hasta qué punto estamos delante de un proyecto musical serio y consistente? ¿O nos encontramos ante otro proyecto más de Pop grabado de forma artesanal en el garaje de casa? Personalmente pienso que nos encontramos ante un proyecto serio porque aunque sus planteamientos pueden parecer más bien hedonistas y despreocupadas, los temas compuestos por el dúo Austin Wood / Mikey Sanders parecen que tienen el poso de las buenas composiciones. Ellos juegan al despiste, y se etiquetan como New Wave, Power-Pop o Manchester. Evidentemente, las bases programadas, los ritmos de Electro-Pop juguetón les separan de tales etiquetas, y más bien les acercan a proyectos paralelos de Mikey Sanders como son Blackbird Blackbird. Pueden resultar interesantes. “It’s difficult to know whether to feel exciting or depressed about having to find out about the most exciting new bands in your area through the medium of the internet. Whilst a past age would have seen the band have to play the local scene to death in order to gain any kind of recognition, it seems that the majority of decent acts now simply opt to stick a few songs and a couple of homemade jpegs online and wait for the crowds to find them – and, to be fair, it’s working for them. 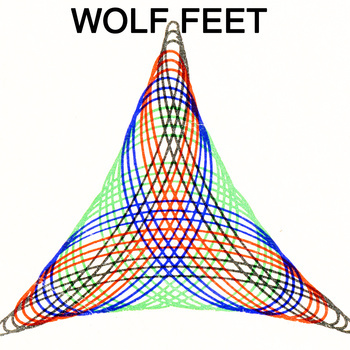 Wolf Feet are the latest Manchester band to pop up out of nowhere and offer the city something different, even the contribution is largely digital at the moment. Pretty much any kind of music now is derivative of something that has gone before – fellow city dwellers WU LYF have taken the vocals of Caleb Folowill in the throes of a sore throat and slowed down the backing band behind him, whilst Mazes have distilled the garage rock of their youth into something slick and instinctive. Wolf Feet doesn’t look much further than what came last year – from the first bars of EP opener Dead Hand, it’s difficult to shake the sense that The Drums are looming large over this, the pop laden take on surf obviously informing the work.